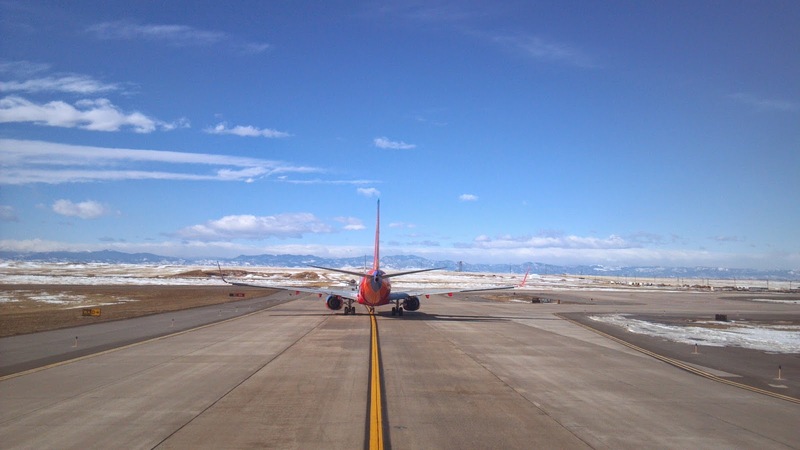 This Is Your Captain Speaking: The End of the Southwest Effect? The End of the Southwest Effect? A recent article in the nation's favorite fish wrapper, USA Today, suggested that the vaunted "Southwest Effect" may no longer be in effect. For the uninitiated, the term Southwest Effect was coined by the bureaucrats in the Department of Transportation back in 1993 to describe the effect that the entrance of Southwest Airlines into a new market would have on passenger count. In short, it would explode. It looks like our intrepid reporter could use a primer on commodities price hedging. It's not difficult. Southwest made a wise bet back in the mid 2000s that fuel prices would rise rapidly and spent money on contracts to lock in a lower price. It saved the airline billions. But a necessary condition to make or save money in any hedging operation is a move in the underlying commodity price itself. If prices are stable, hedging is worse than useless as purchasing contracts is costly. In fact author McGee probably could have learned that from an article in his own newspaper from 2008. But never mind. Reading the article one gets the impression that fuel hedging is something they just arbitrarily decided to stop doing. No, hedging helped because fuel prices skyrocketed. Oh. I also love the way his "apples to apples" comparison uses two markets from Love Field where there is little competition against the many thousands of markets contained in the line item of "Domestic average". But had this reporter really wished to get to the bottom of the issue a little homework is all that is necessary. Costs are in fact rising at Southwest as the business matures. Employees become older and more expensive while growth opportunities domestically become less available. There are other factors such as the collapse of domestic short-haul flying due to a combination of reasons that I've detailed before. So the answer to that question is, really, how important is it for us in the future to be low-cost? I'm arguing to you all that it is ultra-important, and so did Herb Kelleher on our video. It is something that we can only continue to achieve if we really work together because the Company is kind of like your home. It is very difficult to keep costs down in a world where there's inflation and especially with energy costs. So here is a really significant challenge for us because this shows you, I think very vividly, how our costs break down. It's roughly one-third, one-third, one-third. So what does this mean? If you look at the gray area—I'm sorry, the blue area—our fuel costs today are fully one-third of our cost. Believe it or not, one-third of our costs go to pay just for jet fuel. When I started back in the 1980s, it was ten percent. (Emphasis added) So if you think about it, every carrier pays the same amount for gas, so you've just wiped out 35 percent of our potential cost advantage versus Delta. Delta and Southwest pay about the same amount for gas. So that leaves us with 65 percent of our cost structure to work with to beat Delta and American and U.S. Airways—well, not U.S. Airways anymore, but Spirit. So the challenge then becomes, how do you do that? If you look at the other category, which is the black, the 34 percent, we beat everybody. We are more efficient for a variety of reasons—that I bet everybody here could describe—than any other airline when it comes to that other category. But what's changed now in 13 years with all the bankruptcies is where we used to be lower than our competitors with that 31 percent slice, we are not. How can we be the low-cost producer and the low-fare airline if our competitors, even legacy competitors, have lower unit labor costs than we do? It's just—it's a question. It's nobody's fault here, but it has happened, and so that is the question that we've really got to answer. Discover how to get free flights by Travel Hacking.